There are many beautiful beaches throughout the Costa Blanca and we can safely say that these days they are all packed with tourists coming from different parts of the world. 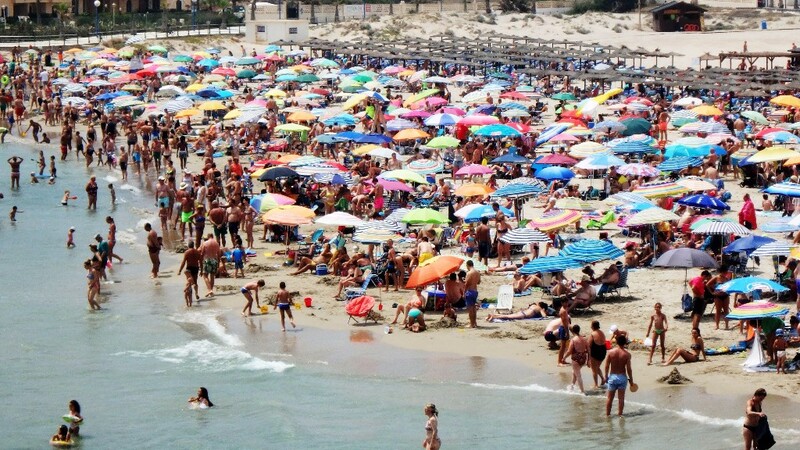 The huge influx of visitors and the warm and sunny weather have turned the Alicante coast into the perfect vacation spot for thousands of families and couples. On some Torrevieja beaches it is actually difficult to find somewhere to set up the umbrella, especially in the most central ones such as Los Locos and El Cura. Estimated figures indicate an increase in the number of visitors this August compared to previous years. This can be noticed by the large increase in the use of potable water, according to the mayor of Torrevieja, José Manuel Dolón. Restaurant owners and hoteliers are also reporting big rises in the number of visitors.